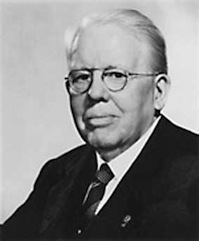 Lions Clubs International was founded in Chicago, USA by Insurance businessman, Melvin Jones in 1917. At this time there were many groups and circles consisting of local businesses. Melvin Jones was a member of the Business Circle of Chicago, and it was his belief that local business clubs should not only concentrate on their own professional matters, but should also try to better their communities and the world at large. His fellow members agreed, and after contacting similar groups around the United States, a meeting was held in Chicago, Illinois on June 7th 1917. They became known as the "Association of Lions Clubs". In October of the same year, a National Convention was held in Dallas, Texas, where a Constitution, Objects, and Ethics were approved. 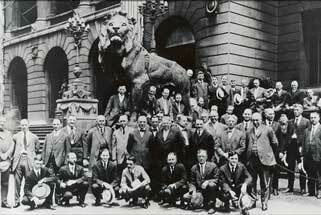 In 1920 a club was established in Canada, making the 'Lions' an International Association. This growth continued, and during World War II, Lions Clubs in Canada wanted to send cash aid to England. But there were no Lions Clubs here to administer the money. On the advice of the then Queen Elizabeth, wife of King George VI, the money was administered by the Waifs and Strays Society which was part of the Church of England Children's Fund. After the war, the Queen sent Col. Edward Wyndham to Canada to thank the Lions. He returned to London determined to form a Lions Club and in March 1950, Colonel Wyndham became the Charter President of the London Host Lions Club. Ten Years later in 1960, the Hereford Club was formed. Lions Clubs International has grown to 1.3 million members across 46,000 clubs in 205 countries. 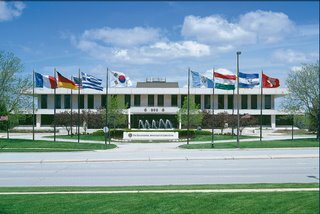 The current International Head Office is situated in Oakbrook, Illinois, USA. Interested in joining Hereford Lions Club? 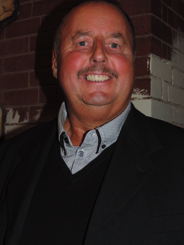 Anyone interested in following George as the next new member of Lions should ring Simon Swancott, club secretary 01432275301. © 1960 - 2016 Hereford Lions Club - Registered Charity 1043033 - Hereford Lions, 3 Kingfisher Road, Hereford HR2 7TH.